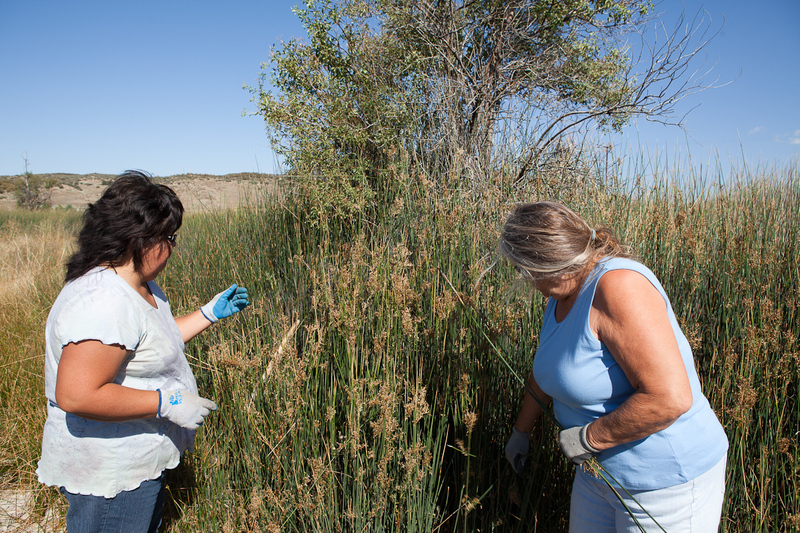 On Sunday, we had a Full Moon Juncus Gathering at the Cahuilla juncus patch in Anza. 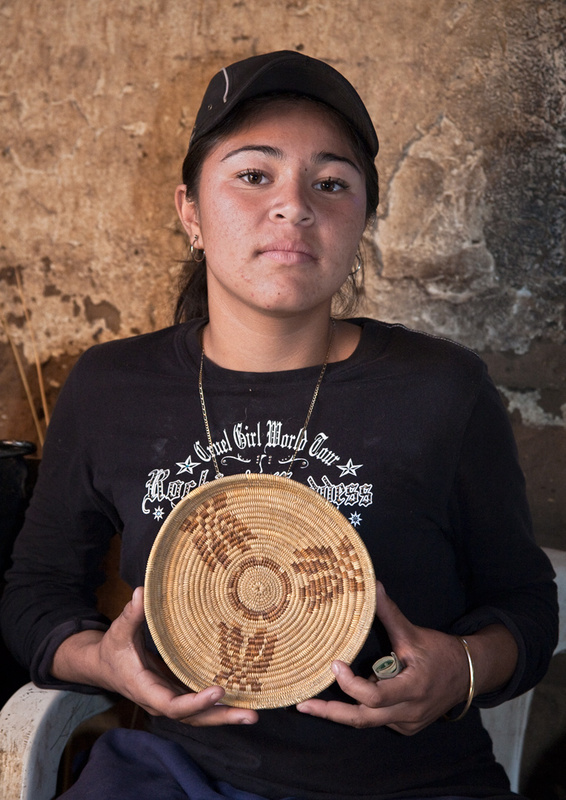 We gathered at the full moon because it’s easier to pull the juncus, healthier for the plants, and produces better material, according to Luiseño basket weaver Lydia Vassar, who organized the gathering with Cahuilla basket weaver Tangie Bogner. 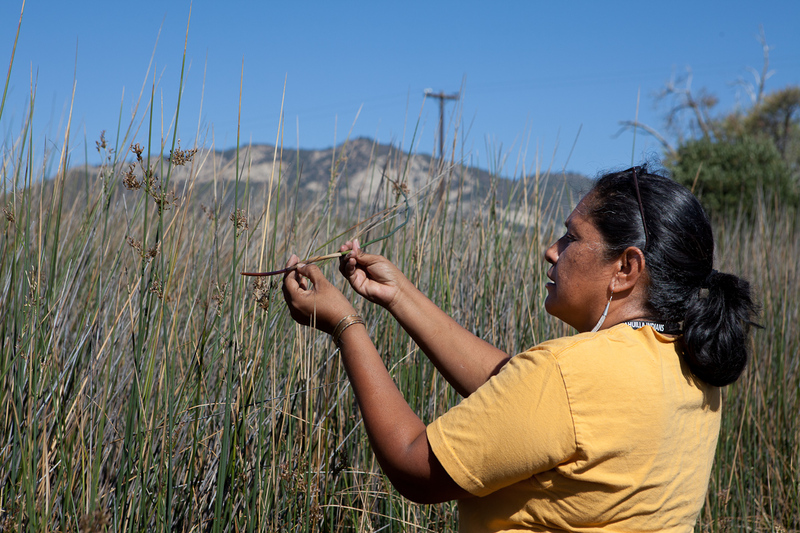 Our friend, basket weaver Rose Ramirez, couldn’t make it to the gathering, but she wrote on her Facebook page that she planned to gather from the Juncus textilis patch she planted by her pond on the Pechanga Reservation where she lives. Rose also likes to gather her juncus during the full moon. 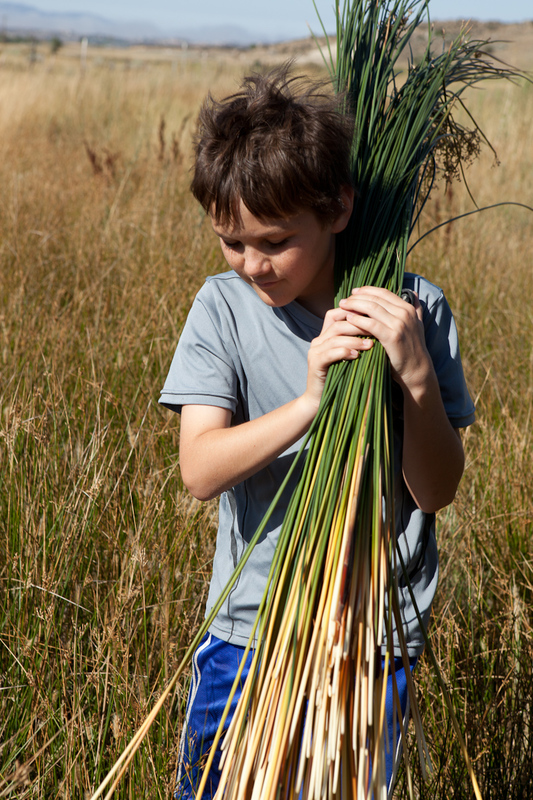 Juncus, a riparian plant, is one of the four primary plants used by Native American basketweavers in southern California, along with sumac (Rhus trilobata); deergrass (Mulenbergia ribens); and yucca (Yucca whipplei). 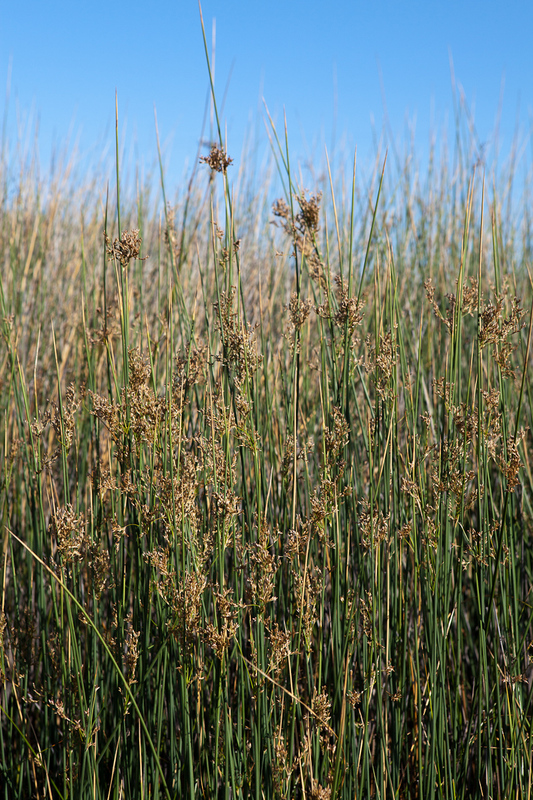 The juncus in the Cahuilla patch is fed by an underground spring. All of the basketweavers are particularly interested in gathering juncus with a deep rust-color on the earth end of the juncus. 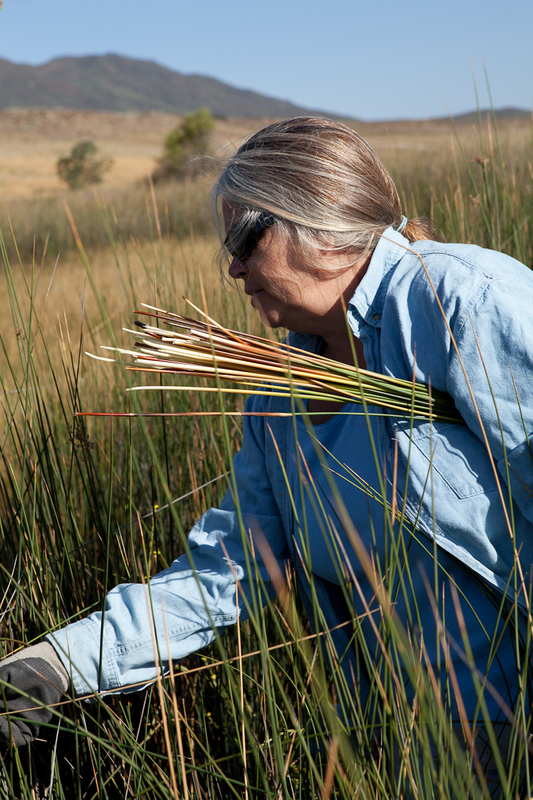 Today, they find the richly colored juncus growing he wetter, swampier areas as well as near elderberry trees, which are always a good sign that there’s moisture in the ground. Gardeners who plant by the phases of the moon say that soil moisture is at its peak during the new and the full moon. The moon helps moisture rise in the earth, and the wetter the soil, it seems, the more easily the basket weavers can gather the juncus. 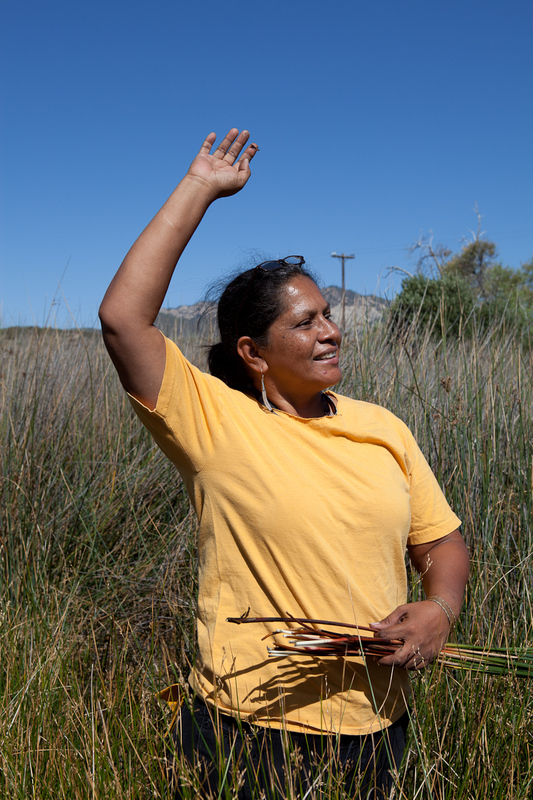 Lydia said that she first learned about gathering juncus during the full moon when she was at an artisans’ gathering to demonstrate green weave basketry at the Museum of Man in Balboa Park, and several Baja California basket weavers were there as well. They told her it was easier and better for the plants to gather during a full moon. For the last five years, Lydia has made every effort to gather at that time and encourages other weavers on this side of the border to do the same. She finds there is less mid-stalk breakage because she doesn’t have to tug so hard on the stalk. When she gathers at other times of the month, she notices a 40-50% mid-stalk breakage or cracking along the stalk. 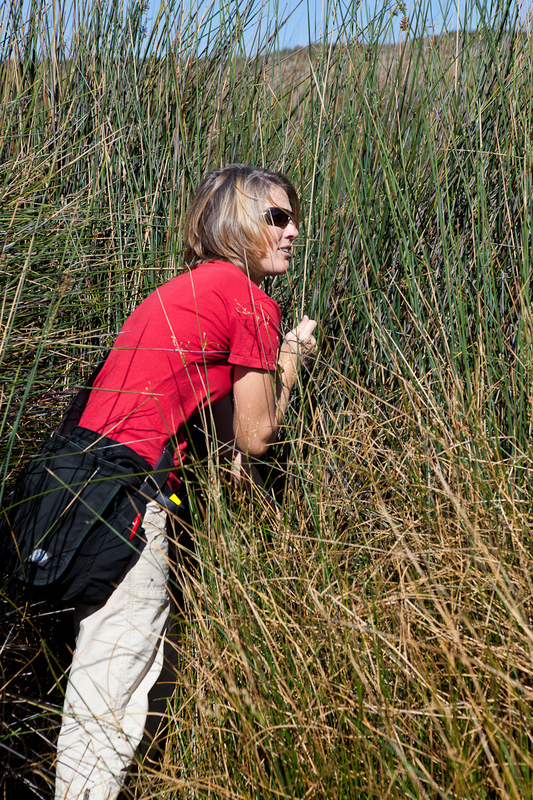 Lydia gathers a great deal of juncus. 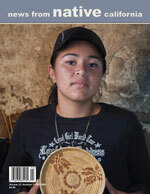 She teaches basket weaving at the Pechanga Chámmakilawish School on the Pechanga Reservation. She’s gathering juncus today not only for her own baskets, but also for her students who are learning the traditional southern California open-weave and coiling techniques. 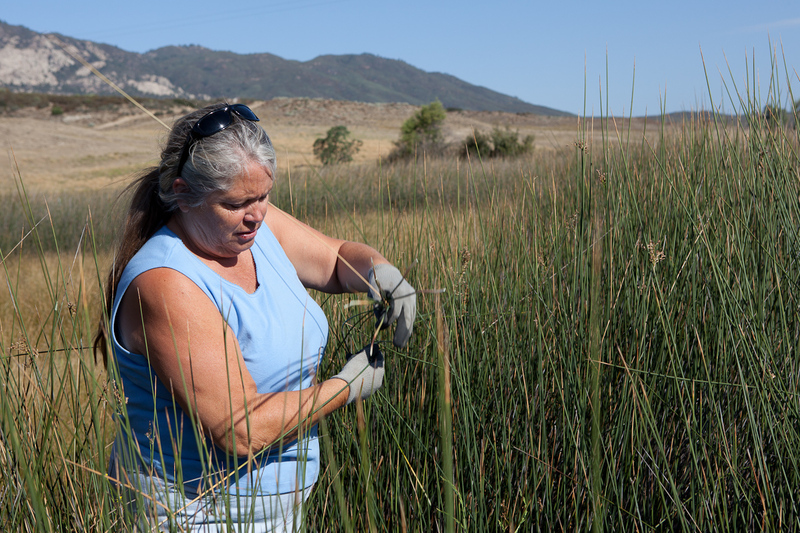 These days, it’s very difficult to find undisturbed stands of juncus—loss of habitat from development and the invasion of non-native plant species have greatly diminished riparian ecosystems that support thickets of juncus. 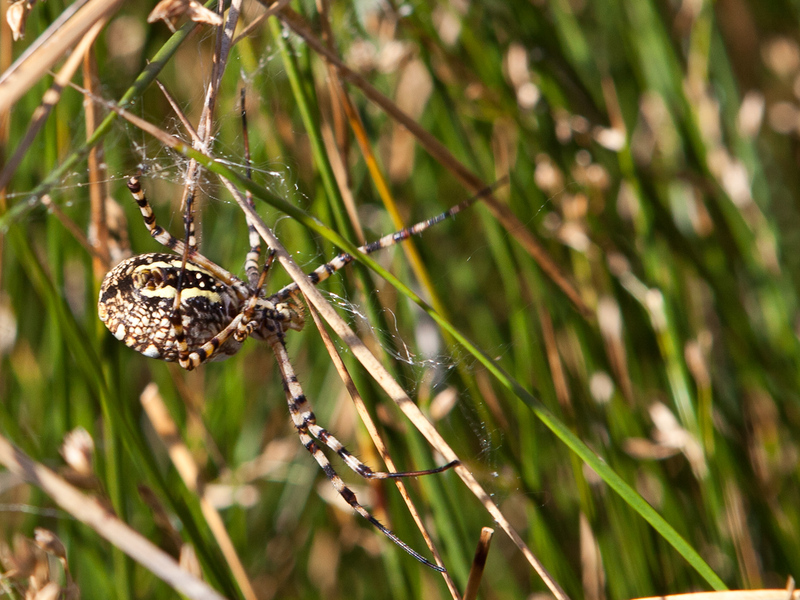 So this Cahuilla juncus patch is very special, and basket weavers have been gathering here for a long time. 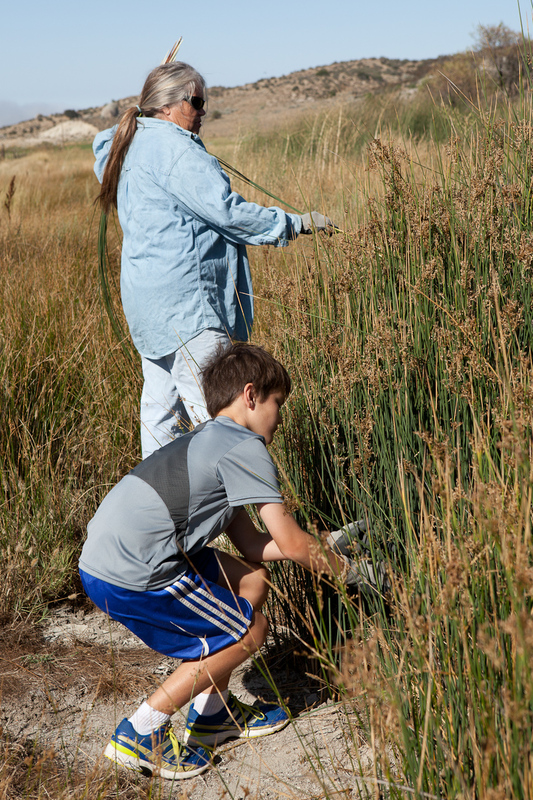 Several elders have told us that their grandmothers gathered juncus here. 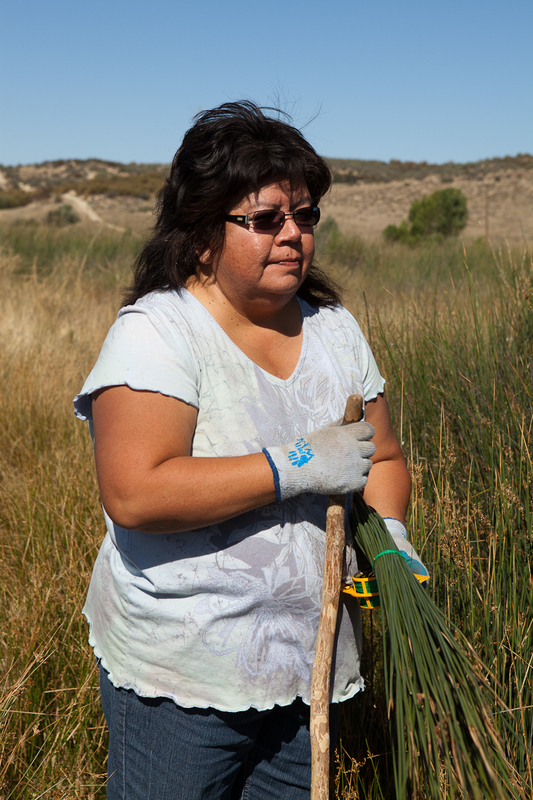 Cahuilla basket weaver Veronica Rose, from the Santa Rosa Reservation, said she has never gathered juncus for her baskets anywhere else. 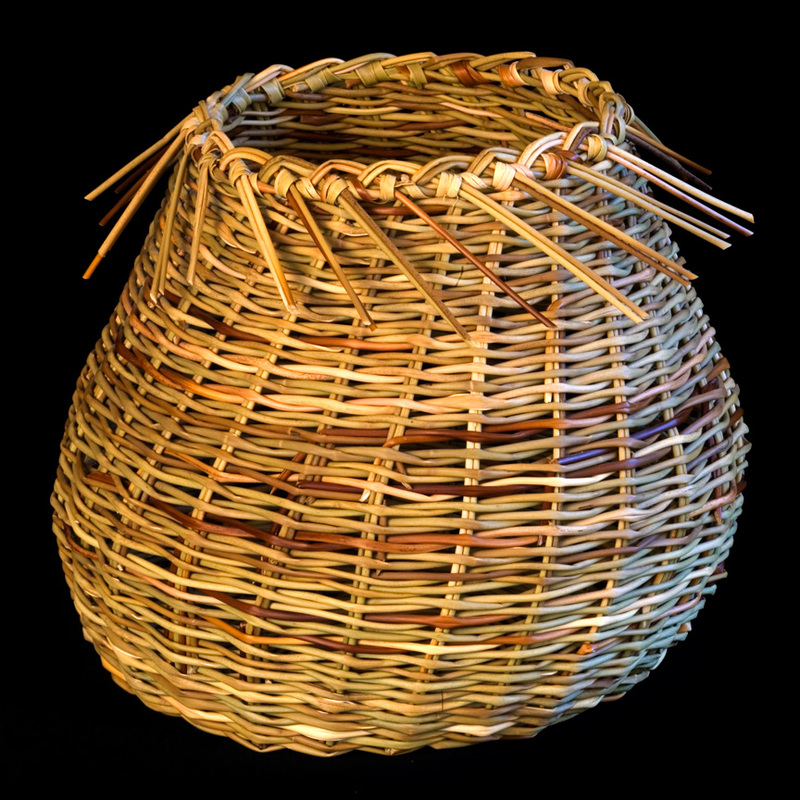 The land is now under the care of Tangie and Sean Bogner, and they generously share their juncus stands with native southern California weavers, helping to promote the revitalization of basket weaving. 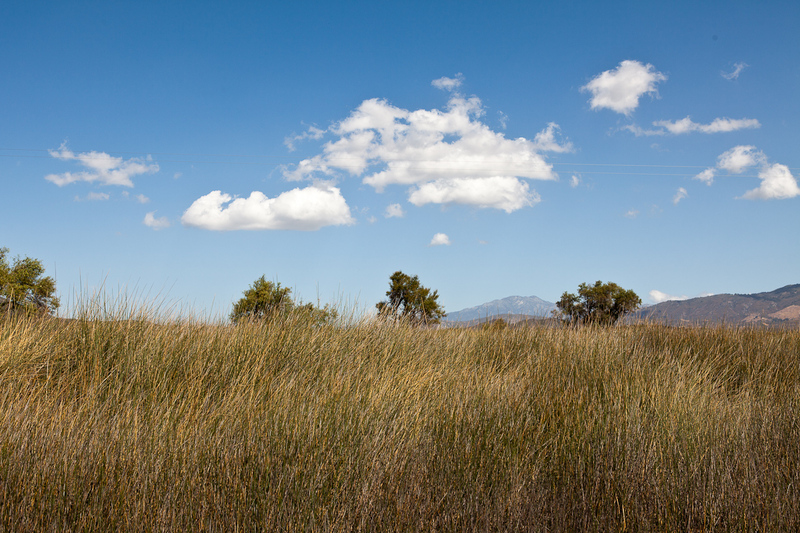 Sean and Tangie have been discussing the possibility of doing a controlled burn to help manage the Cahuilla juncus stands with various agencies and their tribal council. In some areas in the middle of the juncus, the old dead juncus has matted down for years, creating uneven terrain and making walking through the stands difficult. 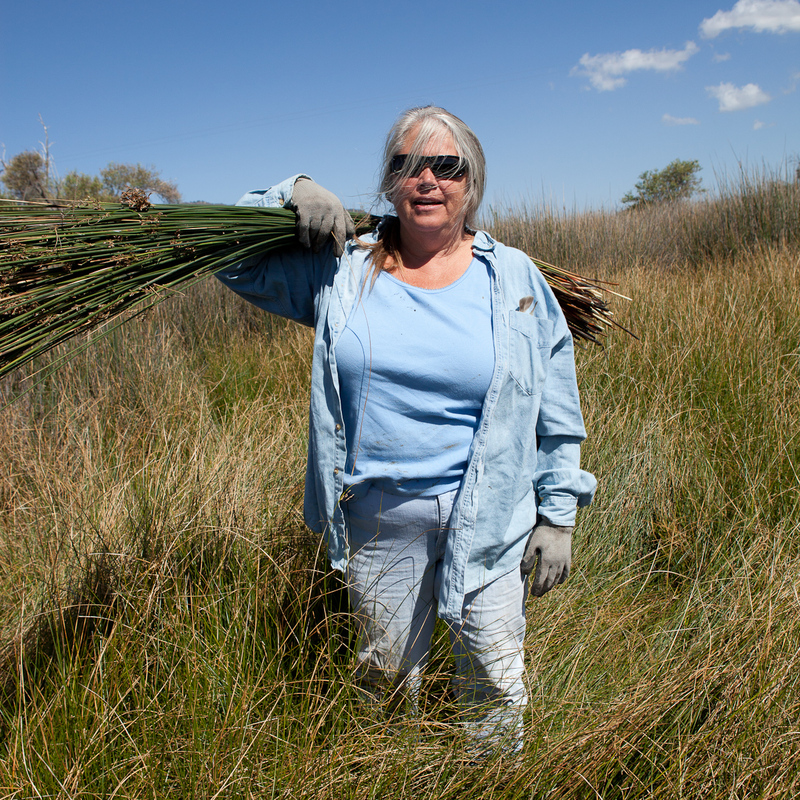 Controlled burns have been one of several traditional native management practices that maintained the health and vigor of juncus and other plants used for basket weaving.